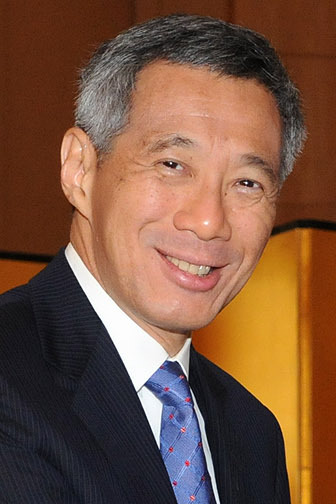 In responding to a post from his grassroots leader that people are upset that HDB flats will have zero value when it reverts to the Government at the end of the 99-year-lease, Prime Minister Lee Hsien Loong likened the situation to hawker stalls with 20-year-leases. “(The Grassroots Leader) asked me why at 99 years the house has no more value. I think the answer is: because when we sold you the flat, we sold you a 99-year lease – which means you pay a certain amount of money, the flat is yours for 99 years, at the end of 99 years you give the flat back to the Government. That’s what a 99-year-lease means. “It’s like when we sold the hawker stalls to the hawkers for 20 years, 20-year lease. They got the stall for 20 years, during which they can use it, they can operate it, they can sublet it. At the end of 20 years, it comes back to the Government, it’s the Government’s again. “And some of the stalls have already come back to the Government. For example, at Chomp Chomp and a few other areas. I think Chomp Chomp has come back already right? But certainly some of them have already come back. So at the end, it’s over. “But is it fair? I think it’s fair! You buy a property, we give you a price – in fact, we give you a subsidised price – the property is worth a lot of money. You can live in it, after five years you can sell it, after a certain time you can also rent it out and even do lease buyback with the Government. “If you buy a house which has 99 years leasehold when you get married, say when you are 30-years-old, then by the time you retire – say when you retire at 70, that’s 40 years later – that means the house still has 59 years of life left. So that’s enough for you to live in for free for the rest of your life. Plus extra! “Unless you happen to live until 129-years-old – which one day maybe somebody will but so far very few. “So actually we’ve given you a house, paid for by the time you retire, and it has enough value – it’s got enough life – for you to live in it for the rest of your own retirement, and furthermore, at the end it still has maybe – if you live till 90 – maybe its got 30-40 years beyond that. “So it has value! Value which you can use, value which you can give to you children. Your children may not want to live in it, they can sell it, they can give it back to HDB. “But at 99 years, it comes back to the Government. You have got 99 years of use out of it while the Government gets back the land, recycle and can redevelop for somebody else. I think that is fair. “I think that is the fundamental point which we have to understand, because if we made it forever – or if we said at the end of 99 years, you give me back the house, I give you back your dollars – well, then what about the years when you have been living in the house? You must pay rent right? Which I don’t think is the deal. “So I think that we have to understand this – at the end of 99 years, the house must come back to the Government. In between, what can I do to help the house keep its value? Well, I’ve got HIP, I’ve got HIP II, and at the end – to make it more convenient to people, to give you choices – I offer you Vers. Most owners of older HDB flats have now come to accept that the value of their 99-year-leasehold property is not going to keep on increasing forever and ever. There are several government policy restrictions which suppresses the attractiveness of older HDB flats for buyers. From 1 July 2013, CPF (Central Provident Fund) usage and HDB loan was restricted for purchase of flats with remaining lease less than 60 years. For flats that are 64 years old, banks are unwilling to extend loans to finance the purchase of these flats. For flats which are 69 years old (or less than 30 years of lease remaining), CPF money cannot be used for down payment or to service the monthly mortgage. From the 79th year onwards, the property has to be paid for in cash. Years ago, Singapore’s first Prime Minister Lee Kuan Yew urged Singaporeans not to sell their flats, and assured them that they assets that would grow in value; but the reality is, flat owners with less than 60 years left in their leasehold, will find it hard for them to sell their flats if they decide to cash out. If you living in HDB flats and want to upgrade to condominiums, but unsure if you qualify for mortgage loans, our mortgage consultants at iCompareLoan can set you up on a path that can get you a home loan in a quick and seamless manner. Our consultants have close links with the best lenders in town and can help you compare Singapore home loans and settle for a package that best suits your home purchase needs. You can find out money saving tips here. You can get more resources for buying, selling and refinancing by browsing through our website, iCompareLoan. Owning a private apartment is a common aspiration in Singapore. Or a sign that you’re one of the ‘miserable lot’ with a household income of, say, $12,001 a month – then it’s your only option because you can’t buy a HDB flat. Well don’t panic! Whether you are looking for a new home loan or to refinance your existing one, the Mortgage broker can help you get everything right from calculating mortgage repayment, comparing interest rates all through to securing the best home loans in Singapore. And the good thing is that all our services are free of charge. So it’s all worth it to secure a loan through us. If you need advice on a new home loan.